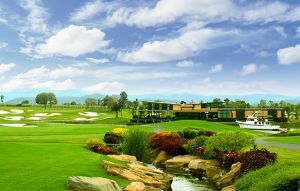 Toscana Valley Golf Club, has a distinctly Italian theme to it and its little surprise, considering the project is run by Tuscany Ville Co. Ltd. 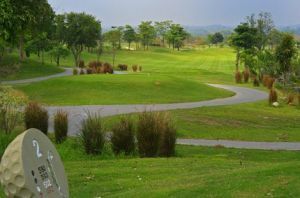 The landscape in which the golf course is situated is splendid, with limestone cliffs making for a picturesque backdrop. 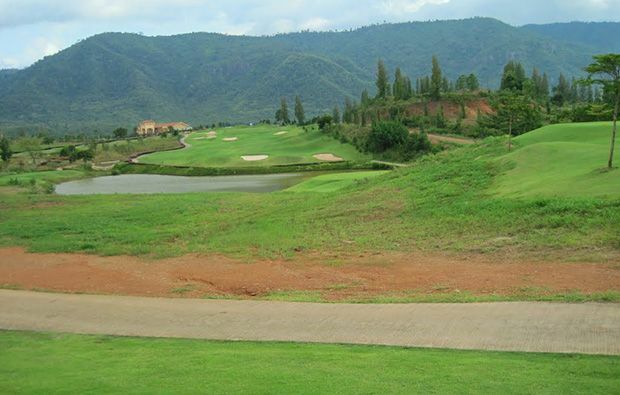 During the rainy season, a waterfall can even be seen on these cliffs, from the golf course. There are several man-made lakes on the golf course and many of the fairways have steep drop-offs, so be aware when hitting balls on to the fairway. There are also a number of holes which feature water carries, some of which are over 200 yards. Every one of the 18 greens is undulating in some way and there are a number which have severe contours and large breaks, which can prove tricky to read. 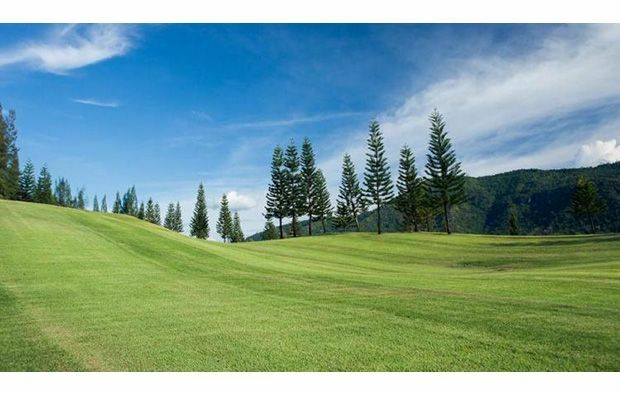 Toscana Valley is a very well kept golf course and with the Villas surrounding it, some of the views when playing a round of golf are tremendous. However, the golf course is not easy to play and requires a lot of thinking, especially regarding the placement of shots. 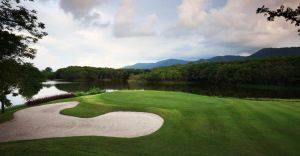 Club choice also plays a crucial role at Toscana Valley. A good example of what to expect during a round, comes at the 12th hole, which is a par 4, with a water hazard, protecting an elevated green. By hitting the ball too long and through the fairway, water awaits. Finding the green may come as a relief, however, the challenge has only just started. The green on the 12th hole is severely sloping and the ball will roll away from anything, which is not close to the pin. Following a testing round of golf, there is nothing better than a lovely club house and restaurant to relax and recharge and Toscana Valley certainly delivers on that front. As one would expect, the restaurant serves traditional Italian dishes, so to keep in with the Tuscan theme of the golf club. 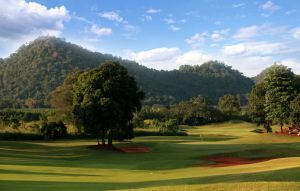 Toscana Valley will test the very best golfers but this should not put anyone off from playing the course. 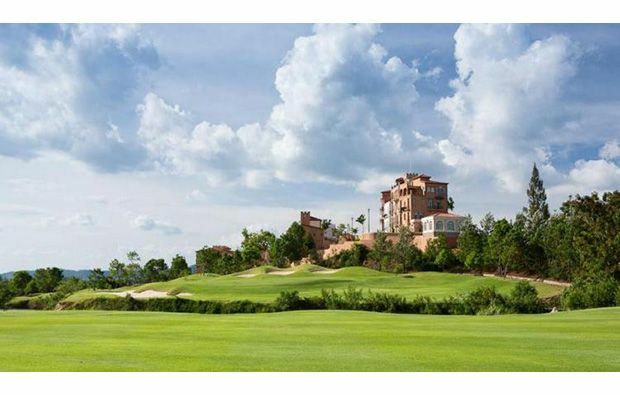 The location is stunning and with facilities to match, Toscana Valley is considered a must visit for golf lovers. Toscana Valley Country Club has different Services to offer. Choose a date and number or players to see the rates.